introducing the all new internal drive dzh7000. As a pioneer in the wood grinding industry, Diamond Z has established a global reputation for manufacturing the highest quality, most durable, easy to service, and most productive industrial grinders available. At the cornerstone of the industry, our innovative, state of the art grinders ensure to be the most cost effective and profitable for our customers. Diamond Z offers a broad range of tub, horizontal, and solid waste grinder models designed to suit any application. 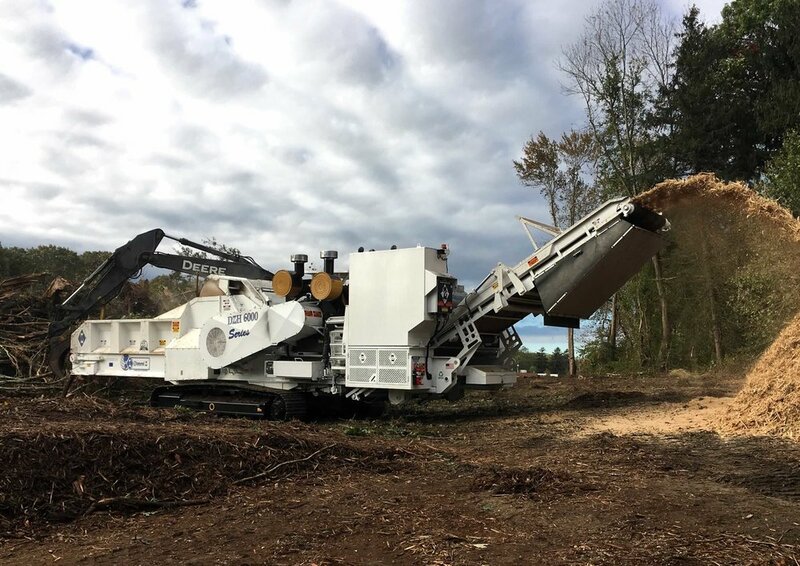 From composting to construction and demolition, land clearing to tire disposal, municipal solid waste to asphalt shingle grinding, nothing out grinds the Diamond Z. The Diamond Z staff is more than happy to answer any questions you may have. Please do not hesitate to reach out to us. Our authorized dealers are trustworthy, and easy to work with. Diamond Z prides it's self in the ability to transport quality machines all around the world. Congratulations on your new Diamond Z Grinder. Now it's time to receive all the benefits of registering your product.